Well this is a short one, there is literally nothing that makes me not want to pick up a book. Whenever I have the time I pick up a book and try to fit one into everything! I even go as far as playing my audio book in the shower. I am the worst at not reading, I even get a bit annoyed when I can’t read, taking precautions for it never to happen. I love reading so much I can not think of anything that would not make me want to read a book. Do you have things that will make you not want to read a book? Let me know in the comments down below! 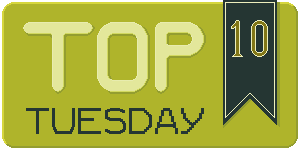 This entry was posted in Top Ten Tuesdays and tagged Top Ten Tuesdays. Bookmark the permalink.